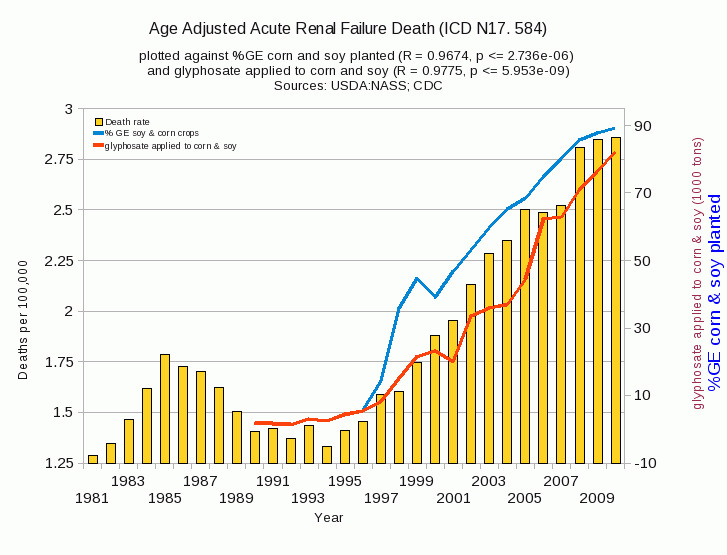 We earlier reported on a mysterious global epidemic of fatal kidney disease, focusing on a study published in the International Journal of Environmental Research and Public Health1 that laid down evidence showing the herbicide Roundup (glyphosate) is responsible for an epidemic of kidney-related deaths in a rural farming region of Northern Sri Lanka, as well as other rural regions around the world, including Costa Rica and Nicaragua. 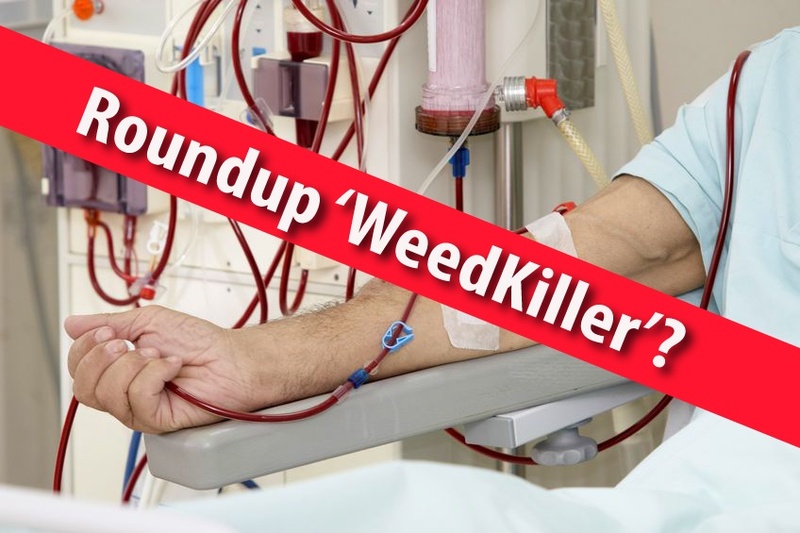 You can review the report here: Roundup Weedkiller Linked To Global Epidemic of Fatal Kidney Disease. The Center for Public Integrity released a report titled, “Sri Lanka bans Monsanto herbicide citing potential link to deadly kidney disease,” citing Sri Lankan President Mahinda Rajapaksa’s March 13th decision to impose an outright ban on glyphosate. 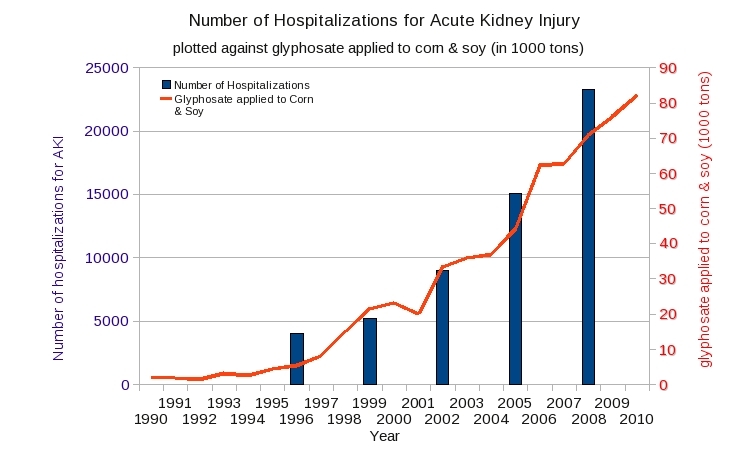 This decision follows a decision by the legislature in El Salvador in September 2013 to approve a ban on glyphosate, but the proposal has not yet been signed into law. 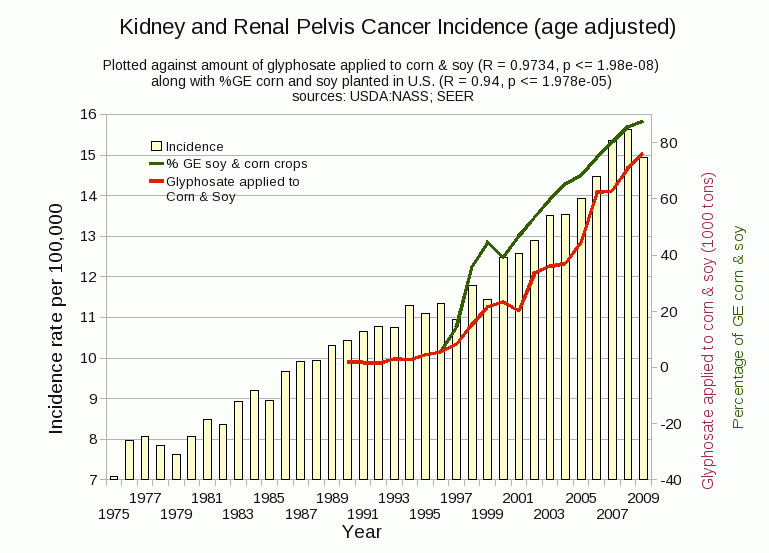 A series of graphs based on data from the USDA, National Cancer Institutes, Centers for Disease Control, have recently surfaced, depicting a steep rise in the rates of kidney disease in the US from the time of the introduction of glyphosate and GM food, reveals that the US may also be suffering from an epidemic of glyphosate-linked kidney damage.